"The Unique Genius of Tartakower!" 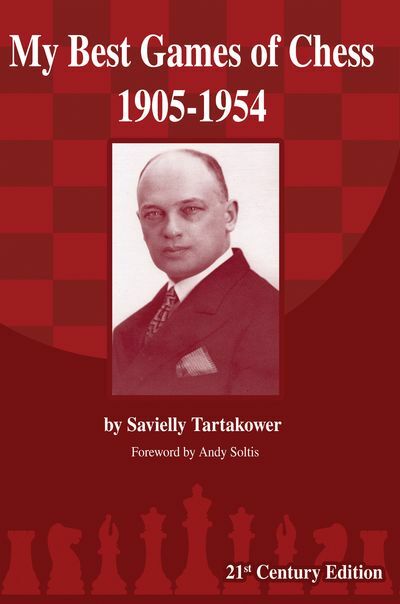 One of the most creative grandmasters ever to play the Royal Game was Savielly Tartakower. His combination of bold play and fascinating writing has long endeared him to chess aficionados worldwide. His classic work of best games has never been available in English algebraic notation. Until now. �Tartakower�s annotations are unlike any other master of his time. He repeatedly stressed the psychological nature of chess, for example. Another �Tartakowerism� is: �An attack is against a castled position, weak pawns and, most of all, against the mind of the opponent.� What he reserves for a footnote, like what conditions are present to make a game a work of art, other authors would need pages to articulate, if they addressed the matters at all. Experience the unique genius of Savielly Tartakower in this 21st Century Edition of his games collection � 201 games, 49 game fragments, all deeply annotated and quintessentially Tartakower!